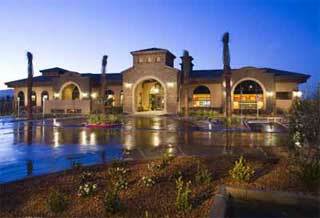 Madeira Canyon homes developed by Del Webb and Pulte Homes located in Henderson. This new master plan community is offering neighborhoods in the hills of the Black Mountain range. Mirroring the hillside communities of Southern California, Madeira Canyon features both Del Webb Las Vegas and Pulte Home Las Vegas neighborhoods with a combined total of 29 Las Vegas new home designs and over 1,500 new residences. 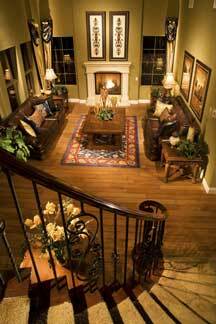 The Paseo at Madeira Canyon offers six collections with 22 home designs. The Andalucia Collection features three Las Vegas home floor plans ranging from 1,629 to 1,923 square-feet and is priced from $331,990 to $356,990. The Aragon Collection offers four home designs from 1,580 to 1,900 square-feet and is priced from $352,990 to $382,990. The Catalonia Collection of homes also offers four plans to choose from ranging from 1,900 to 2,804 square-feet and is priced from $402,990 to $477,990. Priced from $453,990 to $508,990, the Navarra collection features four plans from 1,976 to 2,655 square-feet. The Seville offers three floor plans ranging from 2,559 to 3,799 square-feet and is priced from $447,990 to $528,990. The Barcelona, which also features four plans, ranges from 2,843 to 3,483 square-feet and is priced from $630,990 to $688,990.